My CV1 is dead.... 3 days in! Have you tried re-seating the HDMI cable that plugs into the HMD? I was having an issue where the headset would disconnect and reconnect randomly. After completely removing and firmly pushing the HDMI cable back into the headset - everything has been fine. A little update: Still nothing from support but now the unit is not detected at all. Upon inspection I can see the bottom right pin has pushed back and i cant really see it. Fingers crossed this means that all of the problems have been down to a faulty lead. i just dont understand how it worked 1 day and not the next without unplugging it or anything. Since it stopped working I have obviously had it unplugged multiple times so maybe that caused it. either way I am going to need a new cable or if Oculus allow it a new HDMI plug on the lead I have. I have sent a few emails but still waiting on a reply. 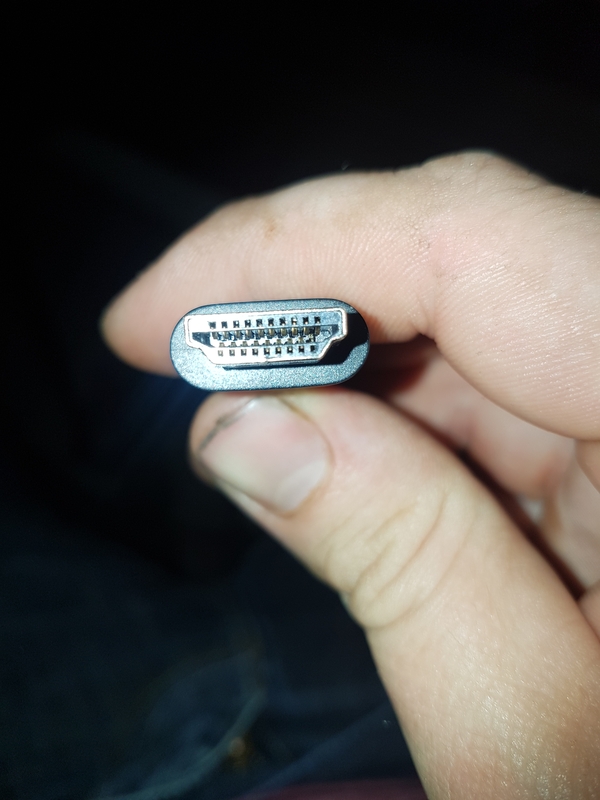 That far right pin on the HDMI lead is supposed to look pushed back like that, I believe its related to power and is supposed to be the last pin to make contact, so that's normal. Yea mine looked a little pushed back but now it's gone. It's either really far back or its snapped off. The headset no longer connects to the computer. I think I just want to send the whole lot back for a replacement unit. Managed to get a picture of my bent pin. Need to zoom in a fair bit but it is visible. At least it's not in my gpu. 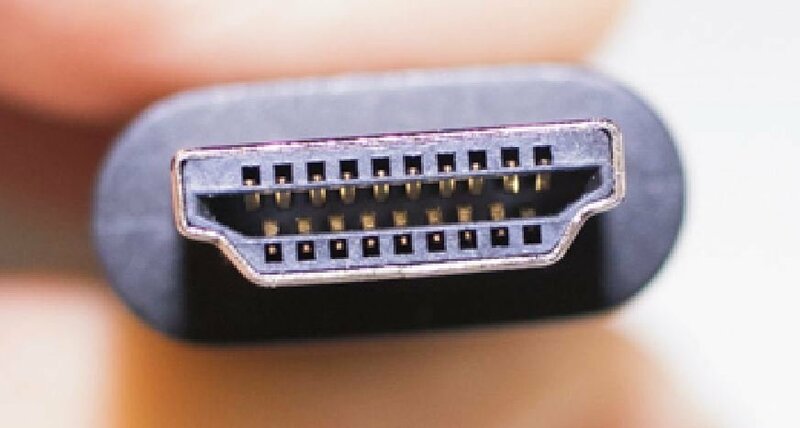 That is not a bent pin, That is standard HDMI port pin alignment. yes, I am talking about the far right pin. Here is mine, I also looked at one of my HDMI video cables and its identical. If your cable looks like this, its actually more likely the headset port is faulty. no its bent mate. It did look similar to that but now it is bent/squashed. If you zoom in and look closley you can see the pin is almost touching/possibly touching the opposite pin. Just another update to say I have still heard nothing. Absolute joke! another couple of days go past and still not heard a thing. Where do I go next? Good luck getting a replacement cable. Been waiting 3 weeks for mine so far. I just want to send it all back now. Im not f%&King around anymore. Im seriously tempted to contact my credit card company to start proceedings and get my money back. 11 days in and I finally got my "Based on all the information you provided, we'd like to get your specific Rift back for further review and get a new one sent out to you." email. At least something is now happening and it is being sorted now. should get my return shipping label in the next 24hrs. fingers crossed! After reading everyone's post, and having the same issues, I thought I would share my research and hypothesis here. I could trace my issue to a slight tug on the headset cable while playing. I went through all the troubleshooting, including a different computer. I suspected the tug on the cable was the most obvious cause. As I was performing a detailed and step by step troubleshooting on my system and changing USB ports, I noticed a very slight bend in the USB Type A connection of the Rift headset cable. A damaged cable may eventually happen to us all unless, a pet gets to it first. I started to research the cable manufacturer, Spectra7. Palmer Luckey was correct when he stated, "Cables are going to be a major obstacle in the VR industry..." but in more ways than he may have expected. Inside the USB Type A connector, sits a micro circuit board manufactured by Spectra7. 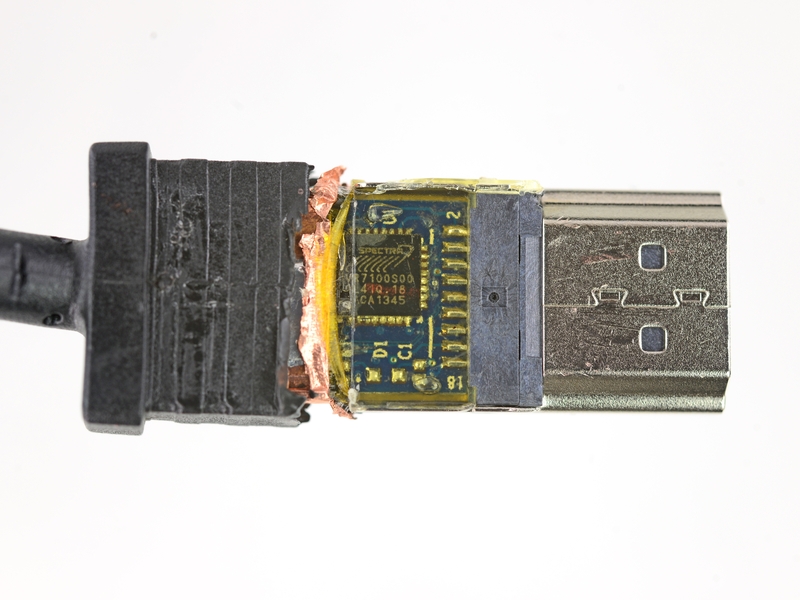 If you go to their website and click on Chips, you will see many variations of the micro circuit boards that are attached to the USB connection. There is a very delicate wiring connection to this small board (VR7050). http://www.spectra7.com/vr7050 (Pics below but, cannot verify they are Oculus). If any of the very small soldered connections wires are jarred loose, it will impact the Rift and render it inop (anyone wanting to test this theory, unplug your headset USB and you will find the symptoms are identical to the majority of the problems mentioned in other areas. I believe a major portion of the problems I see reported are from faulty/loose/disconnected wiring connections either in manufacturing, shipping or, more likely, what happens by the end user under a constant (or one time) tugging and pulling on the cable while using the rift that breaks these fragile connections. Even though Spectra7 beefed up and reinforced their USB/HDMI connections at the terminal end, I don't believe it was enough. I also believe Oculus should make a major "caution" to users to be acutely aware of any possible pulling at the terminal end of the Rift cable. 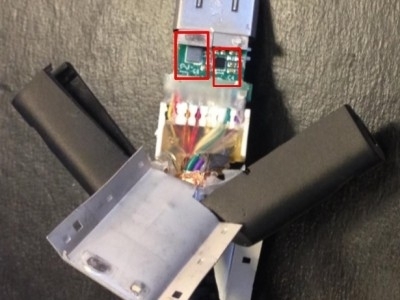 If it does not damage your cable, it can damage your computer USB/HDMI receptacle. Nonetheless, one may determine from the posts here, on reddit, and many other forums, that their are a host of issues with this cable. Personally, I don't want to believe that the employees and customer support in particular, of Oculus would purposely ignore their customers without guidance from above. It's just not good for job security to see so many customers complaining and not be able to reply or address them directly through email. Some information is better than none. It's been over 2 weeks since I contacted Oculus with no response. I just hope we can get back up again soon. I want you to know that I really appreciate your patience with this entire process so far. I understand this is not the best experience and I'm doing my best to try and get this made up for you. This is not a normal replacement experience and a replacement should not take this long and do not take this long currently. There was an anomaly that caused this issue and our team is working to correct it. Even though there seems to be no movement between our emails I assure you we are doing a lot of stuff internally to try and correct this for you. I have been escalating to absolutely everyone I possibly can to get this taken care of or expedited and explore any alternatives to get this out faster and have your specific ticket as a top priority over all of my other customers. You should be able to leave a complaint on my CSAT, but you should know I have made your complaint clear to some of the highest possible support members in the company. I will be following up with you when I hear back with more information and let you know the current details. You should not expect to have a similar experience from Oculus in the future as this just happened to be a very rare circumstance you encountered. I can't apologize enough on behalf of the company for the issues with the processing of a replacement at the warehouse. I hope you can continue to do business with us in the future and I think you will really enjoy our future products and services. The guy who is now dealing with it has been brilliant to be fair. I just want a working unit now. Its a p£ss take! If the case has been taken so highly then someone must have the authority to just have a new unit sent out! @mr2daj It looks like Oculus Support just responded to you, so you should be all set. If you are still experiencing problems, please feel free to reach out to me via PM. Thanks. @cybereality responding is now not the problem. George responds very quickly but still cant seem to get the problem sorted for me no matter how high he escalates it. Its not the staff... its the system! Hang in there mr2daj, I too, got frustrated, especially when we've had it, love it, find that it was worth the wait, it makes it hard to wait any longer. My patience was wearing, then I realized why? For all the above reasons. We knew we were getting cutting edge, mass production, on the front line, phenomenal technology. But, this is part of working the kinks out. I was eventually helped, and very professionally all along the way. It will be worth the wait again! Just think what the technology is going to be next year, and the year after that. It will be like going from black and white TV (for me, that is) to color TV. Hope you get back up soon.